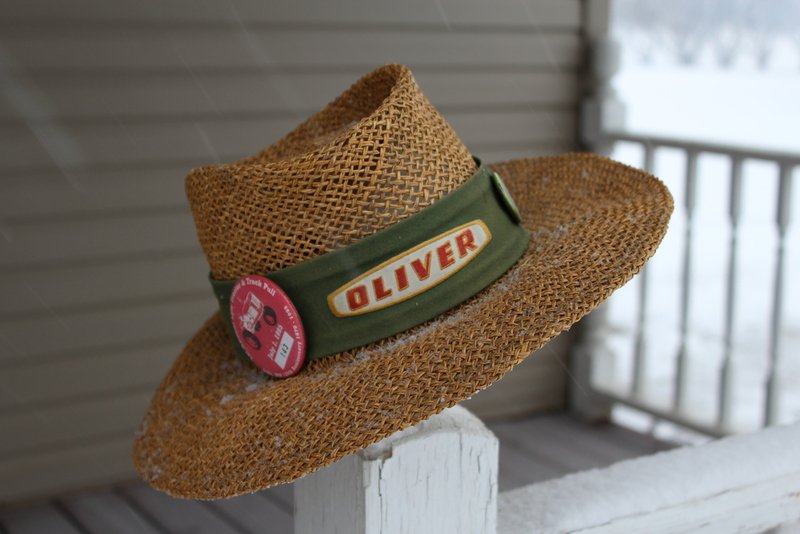 The Great Northern Oliver Collectors club was founded under a large oak tree during the summer of 1997 as a local chapter of the National Hart-Parr Oliver Collectors Association. We are one of two Minnesota chapters, and primarily serve the southern region of the state. 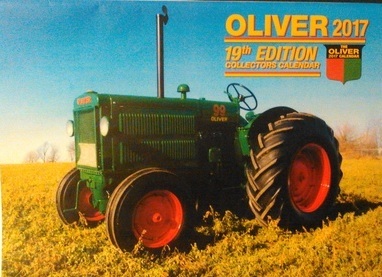 In 1998 our club began doing an Oliver calendar and continues to do so with the ongoing support and enthusiasm of our members. If you would like to host a event in your area please contact us by sending a email to: greatnorthernolivercollectors@gmail.com. Also, If you have an event where you would like to feature Oliver, Hart-Parr and White Tractors please send a email letting us know. Prices remain the same as previous years!!! Since its inception in 1998, Our "Oliver Collector's Calendar"has been a way to support the GNOC. Whether buying a current calendar or submitting a photo for consideration in next year's calendar, we appreciate your support! GREAT NORTHERN AND NORTHLAND OLIVER COLLECTORS WILL BE HOSTING THE REGIONAL Hart-Parr/Oliver/Cletrac Show in conjunction with Le Sueur County Pioneer Power Assn. Great Northern Oliver Collectors Annual Banquet held April 7, 2019. This event was a FULL HOUSE!!! Thanks to everyone who brought items for the auction. We had a LOT of interesting items. Thanks for Richard Dosdall our guest speaker and newest GNOC member for talking about his half size Oliver 1655, Cody Hawkins, our 2018 Scholarship Award Recipient and everyone who attended to make this event a success! We would like to WELCOME Richard Dosdall, Ray Winkels and Michael Swanson to the club. We are fortunate to have the support of our members who understand the wonderful work we do! Through our annual dues and calendar sales, the Great Northern Oliver Collectors club has been able to award a yearly scholarship. The recipient for the 2018-2019 school year was announced at the Wisconsin Distinguished Agriculturalist Banquet hosted by the College of Agriculture, Food and Environmental Sciences.This year they celebrated their 52nd annual CAFES Scholarship and Award Banquet. They were able to award 161 scholarships totaling $163,000.00. The GNOC scholarship in the amount of $2,000.00 for the 2018-2019 academic year has been awarded to Cody Hawkins from Chippewa Falls, Wisconsin majoring in Agricultural Engineering. Congratulations Cody! For the 2018-2019 school year, students attending the University of Wisconsin-River Falls who are majoring in an agricultural related field are encouraged to apply. Students apply through the University of Wisconsin-River Falls scholarship site on the Financial Aid webpage. The CAFES Scholarship committee makes the recommendation. For more details on how to apply, please contact the University of Wisconsin-River Falls. Jim Checkel with this years scholarship winner Cody Hawkins from Chippewa Falls, WI. I would like to express my gratitude and thanks for your generous funding of the Great Northern Oliver Collectors Scholarship. I'm incredibly honored to be the recipient of this award. A little bit about myself, I'm currently a junior majoring in agricultural engineering. In my short time here at UWRF for the past year, as I'm a transfer student, I have started the Falcon Robotics Team with one of my professors, Dr Digman, and have been on the track and field team as a pole vaulter. With that said, the scholarship money will be used to help fund our robotics team trip to Detroit this summer to compete at the ASABE International meeting with many other schools. We've been working hard on it all semester long and can’t wait to go show off what we've accomplished at the competition. Again, Thank you very much for your generosity and helping support out newly founded team with it. Your donation will help keep this team going for years to come! MEMBERSHIP: Members of the Great Northern Oliver Collectors enjoy the benefits of networking and sharing information about Hart-Parr, Oliver, White and related companies. If you are passionate about the history and heritage of antique power, please consider joining us! Once we have your contact information, we'll be able to keep you in the loop with our club mailings, including information on our annual meeting and banquet. Members of HPOCA receive an HPOCA Membership Card, Membership Decal, One 50-word classified ad per member, per issue, in Hart-Parr Oliver Collector,FREE access to the members only section of www.hartparroliver.org. Hart-Parr Oliver Collector is a bi-monthly magazine with information, history, articles by members, sources of parts, etc. Our newest member of our club Bryan Ebbenga sells tractor books and manuals. Call Bryan~ He might have what you're looking for~ 507-995-1297.